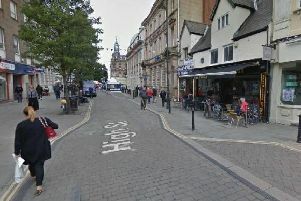 A second man was stabbed in a fight at Sheffield’s Centertainment in which another man was killed, it has been revealed. Detectives have revealed for the first time today that in addition to 22-year-old Fahim Hersi being stabbed to death in the disturbance, a 21-year-old man was also knifed. Fahim, from Broomhall, was attacked outside the cinema at the leisure complex at around 9.20pm last Friday. It has now emerged that another man was also stabbed and spent a number of days in hospital receiving treatment. The man is one of two 21-year-olds arrested on suspicion of murder following Fahim’s death. A total of eight arrests have been made so far over the murder. A post-mortem concluded that Fahim died as a result of a single stab wound to the chest. Detective Chief Inspector Steve Handley, leading the murder probe, said: “Our enquiries continue in earnest as we build a picture of what took place last Friday night, events that led to Mr Hersi receiving a fatal stab wound. “Officers are progressing a number of lines of enquiry, which include reviewing CCTV footage from the area, in a bid to establish the full circumstances surrounding the incident. “I wholly appreciate that the incident on Friday will have been distressing to witness, but it is imperative that those who were there on Friday night make contact with police and tell us what they know. It could be of vital importance to our inquiry and Mr Hersi’s family deserve to know what happened to their loved one. Anyone with information should call South Yorkshire Police on 101 or call Crimestoppers, anonymously, on 0800 555111. Quote incident number 950 of September 21.